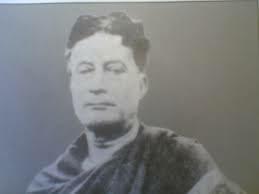 Introduction: I have great admiration for Lakshminath Bezbarua, the pioneer of modern Assamese literature. He was a great poet, writer, satirist, playwright and children’s literature writer. He is best known as “Sahityarathi” (Charioteer of Literature) and “Rasaraj” (King of Humour). Early Life: He was born near Ahatguri, Nagaon in November 1868. His father was Dinanath Bezbarua, a senior British official. Due to the nature of his father’s job, he had to spend his childhood in various places in Assam.He received his early education from Sibsagar Government High School and later went to Kolkata for higher studies and graduated from City College in Kolkata. He further did his post-graduation and B.L. degrees from Calcutta University. He married Pragyasundari Devi. His Contribution: He is the composer of “O Mur Apunar Dex”, the state anthem of Assam. He started his literary career with “Litikai”, a slapstick written for Jonaki magazine. He wrote 8 plays, 2 autobiographies, 4 buffoonery, 3 historical works and 3 biographies. Some of his notable works are – “Joymoti Konwori”, “Padum Kunwori”, “Burhi Aair Xadhu”, “Kokadeuta Aru Natilora”, “Belimaar”, “Chikarpati Nikarpati”, “Nomal”, “Kehokali”, “Paachani”, “Bakhor”, “Mur Jiban Sowaran” etc. Most of his works fall under children’s literature. Why I Like Him: I like him for his great sense of humour, lucidity of writing and patriotism. He brought out the various features in the Assamese society. Besides, his fondness for children attacts me. So, he is my favourite author. ♣♦The full essay is available at englishforschools.co.nf (click here).